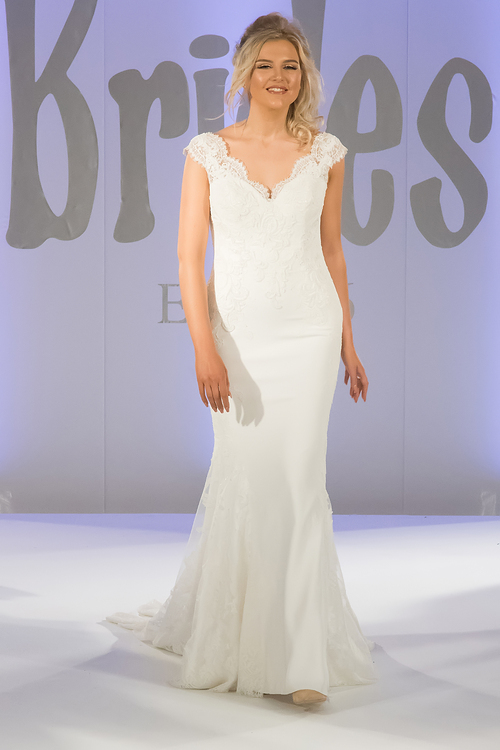 Another stunning creation by Pronovias! A beautiful combination of crepe and lace creates a very modern romantic feel to this dress. A beautiful Illusion back, button back and cascading lace on the train. Tiny crystal beads complete this look but theses are optional!